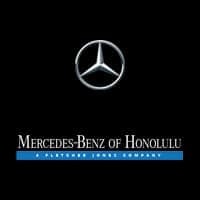 Contact Mercedes-Benz Of Honolulu today for information on dozens of vehicles like this 2019 Mercedes-Benz E-Class AMG E 53. This Mercedes-Benz includes: PARKING ASSISTANCE PACKAGE Back-Up Camera DRIVER ASSISTANCE PACKAGE Brake Assist Adaptive Cruise Control Cruise Control AMG NIGHT PACKAGE *Note - For third party subscriptions or services, please contact the dealer for more information. * The Mercedes-Benz E-Class AMG E 53 is a well-built, yet compact and enjoyable ride that is unmatched by any other convertible on the road. With the ability to easily switch between having the top up or down, you'll be able to go about your weekday routine without feeling like you've sacrificed the weekend thrills. There's a level of quality and refinement in this Mercedes-Benz E-Class that you won't find in your average vehicle. This AWD-equipped vehicle will handle beautifully on any terrain and in any weather condition your may find yourself in. The benefits of driving an all wheel drive vehicle, such as this Mercedes-Benz E-Class AMG E 53, include superior acceleration, improved steering, and increased traction and stability.